Traditional broadcast media will always lead the viewing experience for events, director of marketing and social media for The GRAMMYS, Beverly Jackson, told delegates during this morning’s opening session of ADMA Forum 2012. Jackson shared her experience in reinventing the not-for-profit GRAMMYS event telecast which was wavering when she took over the post as marketing director. In February this year, the event became the most social television event in history, achieving 13 million mentions and 130,641 tweets per minute at the height of the telecast, a feat not eclipsed during the recent London Olympic Games which was labelled the most social Olympics ever. Social television was critical to delivering eyeballs to the telecast, Jackson said this morning, presenting at the Sydney Convention and Exhibition Centre. But she reinforced that traditional broadcasting will always be the lead component of the GRAMMYS. The Opening Ceremony sparked the most social activity of any event at the 2012 London Olympics, resulting in 5.0 million comments on social media, 8.0 million fewer than the GRAMMYS. The death of pop legend Whitney Houston a few weeks before the awards was credited with driving mentions up, but Jackson presented data that showed mentions of Houston failed to match other performers at the event. 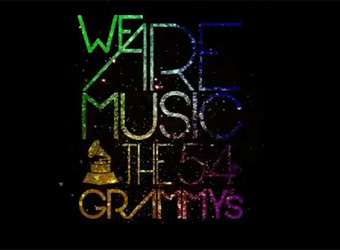 The video below outlines some of the strategy behind the ‘We are Music’ campaign for this year’s GRAMMYS, including the use of second screens and social TV to expand the telecast’s footprint into digital.